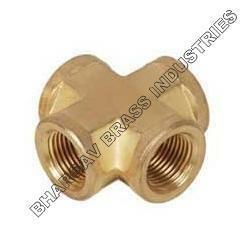 We offer Brass Components to user drawings and prints we specialize in machined, Brass Components Brass Forged Components Small big cast Machined Brass Components cast brass Components Forged brass Components Stamped Brass Components from miniature 1mm to 200mm Brass Components Turned Brass Components to custom specification. We are engaged in manufacturing and supplying an exclusive range of Tee Joint. 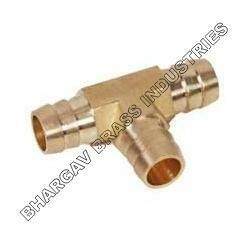 These products are fabricated using finest grades of brass that we procure from our trusted and certified vendors. We also offer our clients with the option of availing customized solutions for these joints. 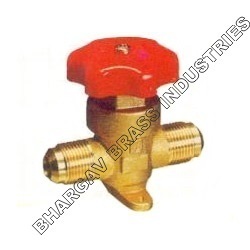 Bhargav Brass industries is a leading name in india as Metal valve manufacturer. we have a vast work of experience in forged valve manufacturing field. our company is ISO 9008:2008 certified unit.We export brass valve to gulf countries and European countries and USA. we are using graded materials as per requirements. we have havrning,milling,drilling,plating,casting,packing,washing,forging facilities under one roof. This diaphragm type hand shut off valves are designed for installations in liquid, suction and hotgas lines of commercial refrigerating systems and on civil and industrial air-conditioning systems. Can be used on all CFC’s and HCFC’s. Seat of Engineering Plastics to give complete shut off with minimum torque. Fitted with stainless steel diaphragms that prevent leakage. Throughout the operating life of the valve. we will glad to develop the product as per your requirement. We are a leading name in this domain engaged in manufacturing and supplying a broad array of Female Cross Way. We provide Female Cross, which is specifically used to connect pipes and tubes. our team of quality checkers make sure to deliver a flawless range after thorough quality check. These are uniquely made with high strength and lesser in weight that approves the durability in longer terms. Looking for Brass Forged Components ?